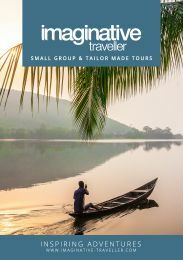 The Imaginative Traveller worldwide brochure is full of inspiration! Let your holiday adventure begin. We do require your email address to contact you if there is an issue with mailing you our brochure. We would also like to keep you updated with news, offers and related marketing information via email. Please enter your email address and select to agree. 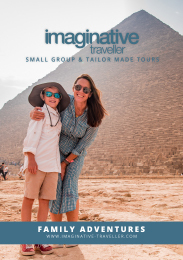 Unfortunately, we do not mail brochures to countries not listed but you can see a full version online here. Alternatively, please feel free to contact the sales team who will be happy to help and advise you with your query.